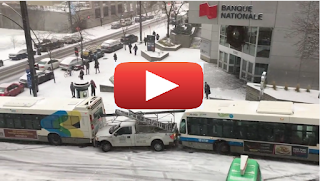 Leaky Squid: Crazy car pileup in Montreal. Bus Police and Snowplow! These days,some of the drivers of car are involving in ruthless driving and not only harming themselves but also do harm to the people in the surrounding. Pleasant post. I was resembling this. Truly it is extremely helpful and instructive post. Much obliged for sharing.